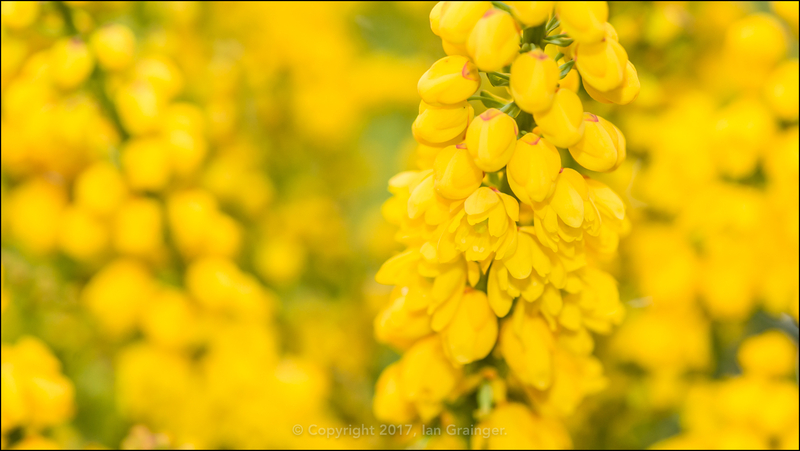 It was a lovely warm Sunday morning for my photo shoot this week, but unfortunately the weather was also terribly dull and overcast. I initially tried my hand at a bit of avian photography, but it was really too dark to get anything I was really happy with, even when I pushed the ISO up to and beyond 1000. 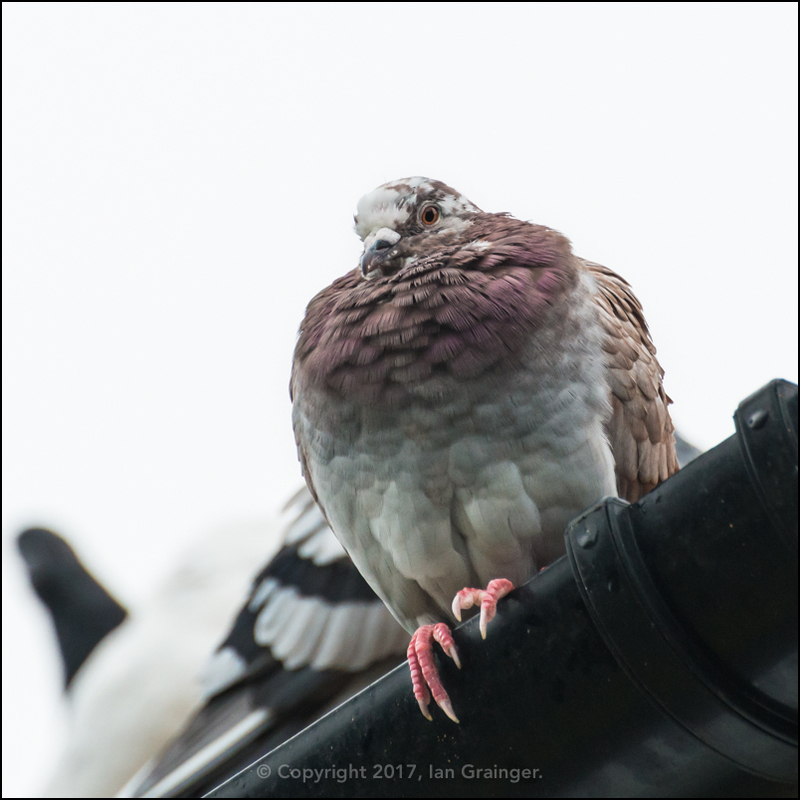 As usual, there were plenty of Feral Pigeons (Columba livia) about, almost willing me on to grab a decent photo of them. So, I persevered, and ended up with a couple I was happy with. 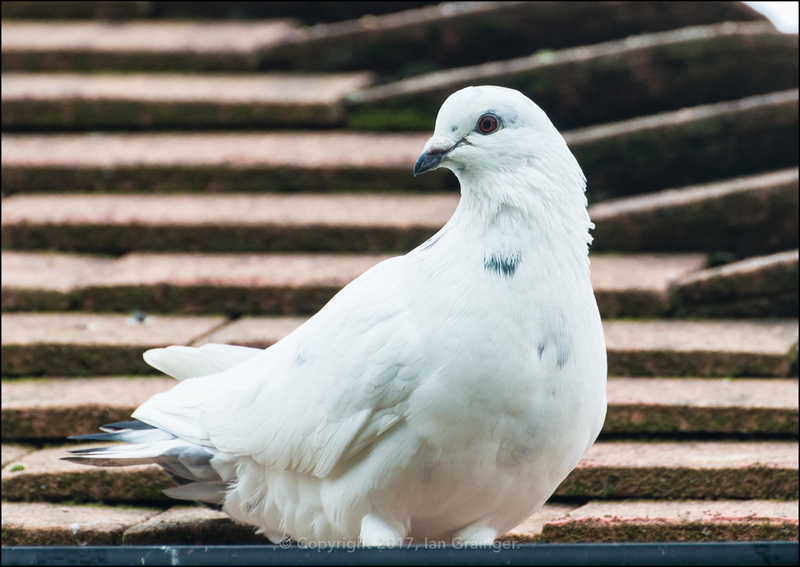 This white one stood out, simply because he was the odd one out of the flock, and quite easy to pick out. ...and their numbers were only increasing, as can be seen by this juvenile that has only just joined the flock. 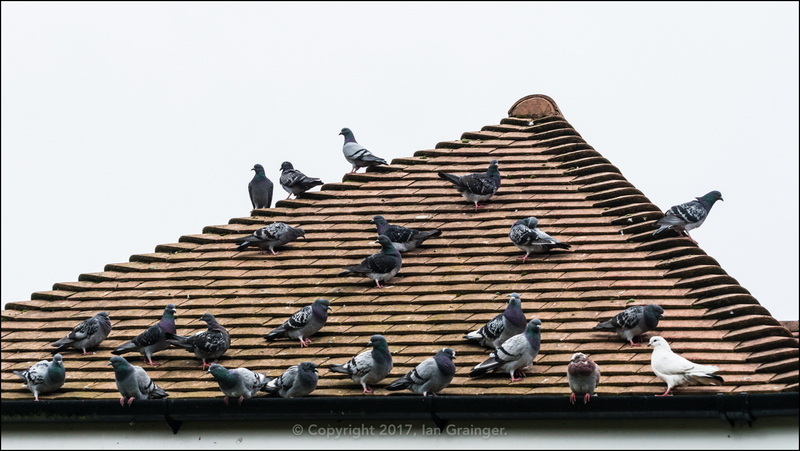 This got me wondering about why you never see pigeon chicks? I wonder where they hide until they are of age to join the main group? 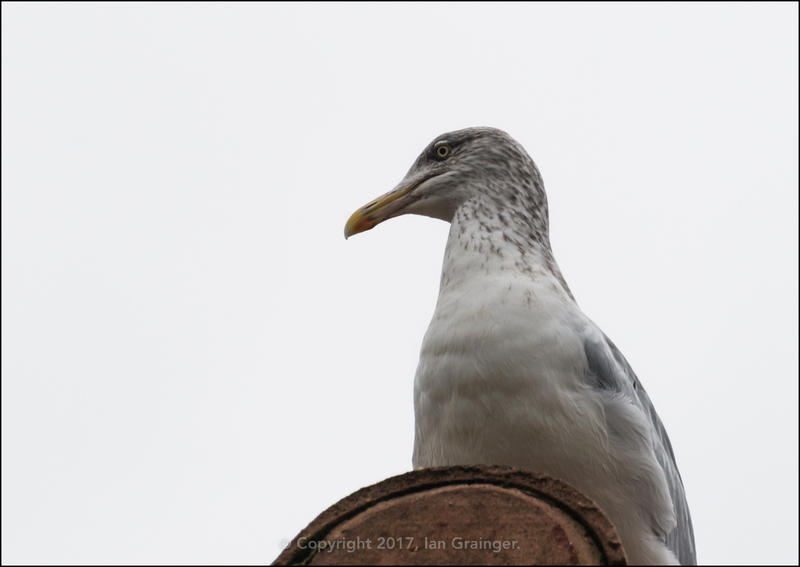 Other than pigeons, there were a few gulls about, including this wise looking Herring Gull (Larus argentatus). 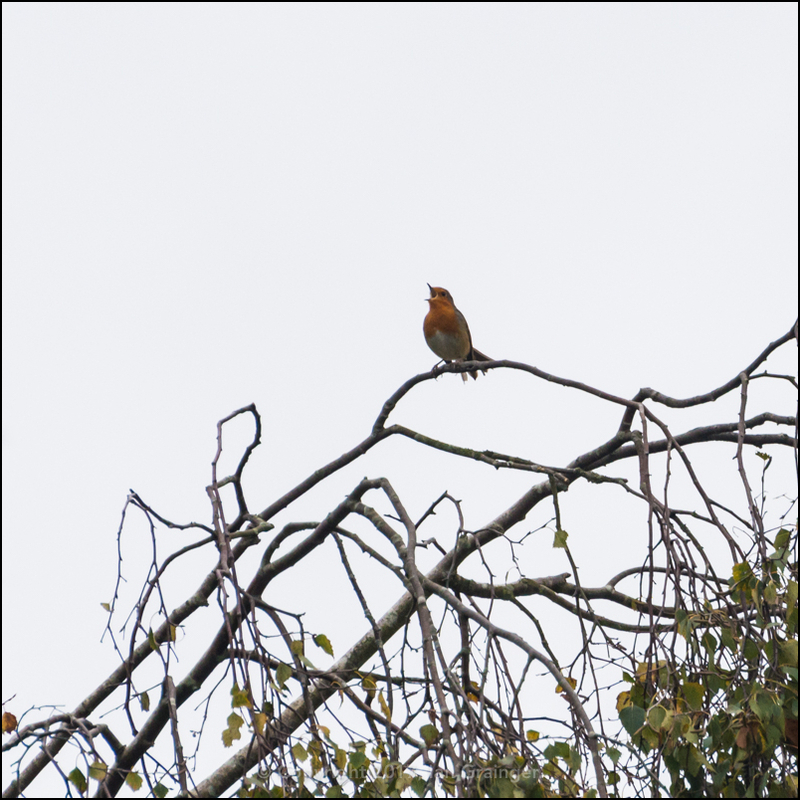 I was also accompanied by the tuneful chirps of a Robin Red Breast (Erithacus rubecula). Unfortunately I couldn't get a closer shot of him singing away in the tree tops. 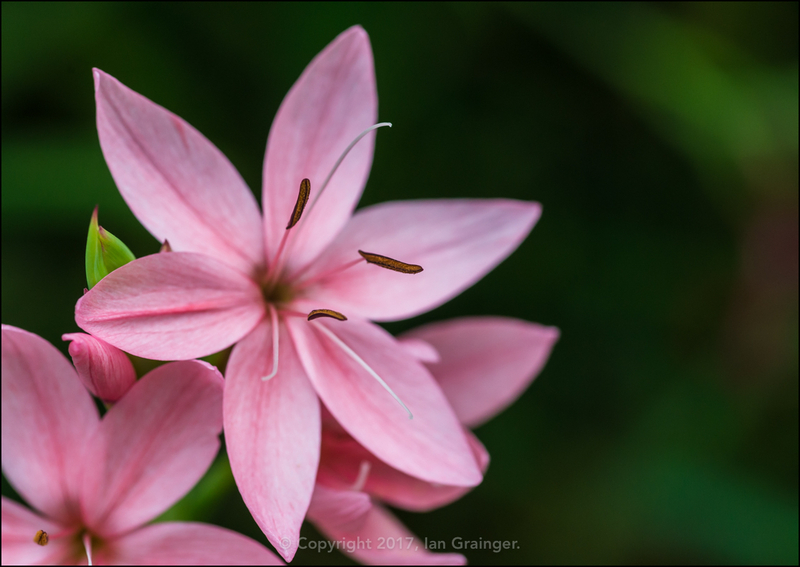 Although it was getting late in the year, there were still a couple of new floral additions to the garden. 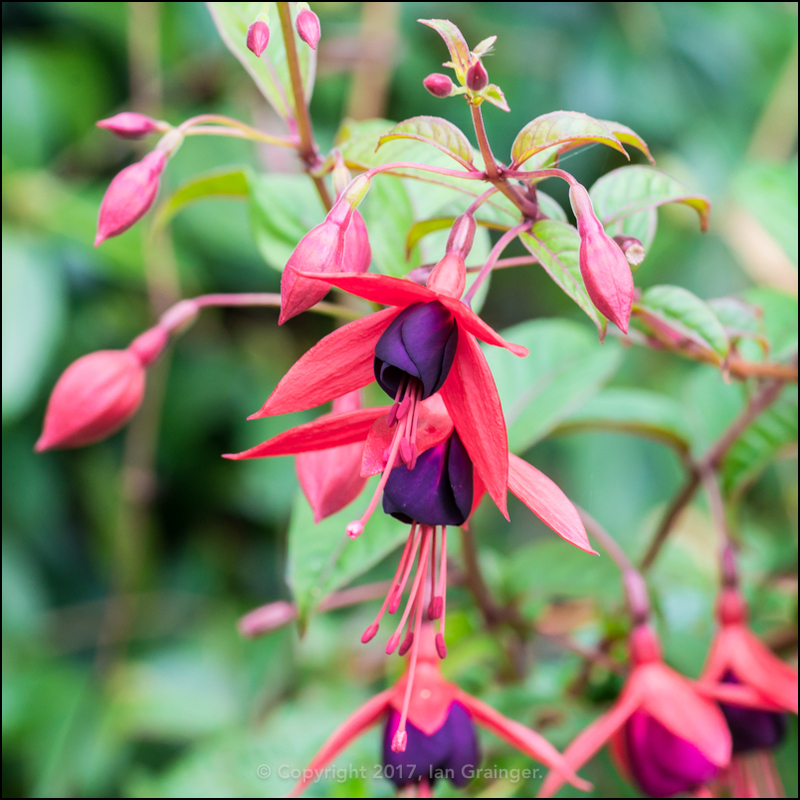 These red and purple Fuchsia blooms were climbing their way through a Camellia bush. 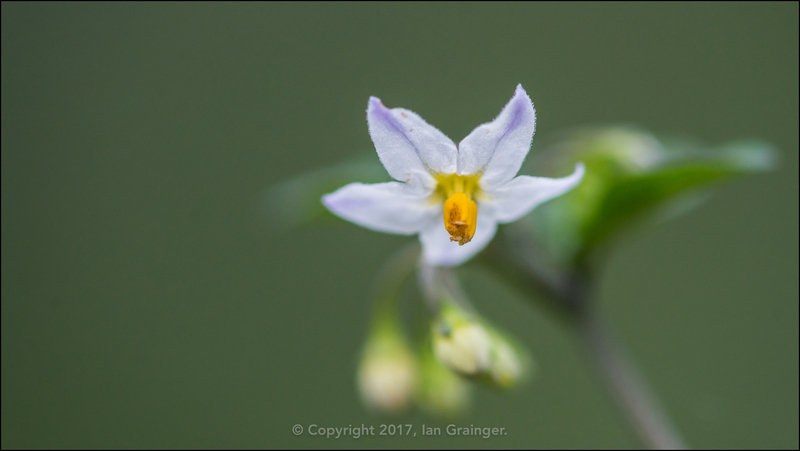 And while completely unexpected, I quite enjoyed photographing these pretty little Potato (Solanum tuberosum) flowers. I loved the look of their delicate little blue accented white petals. 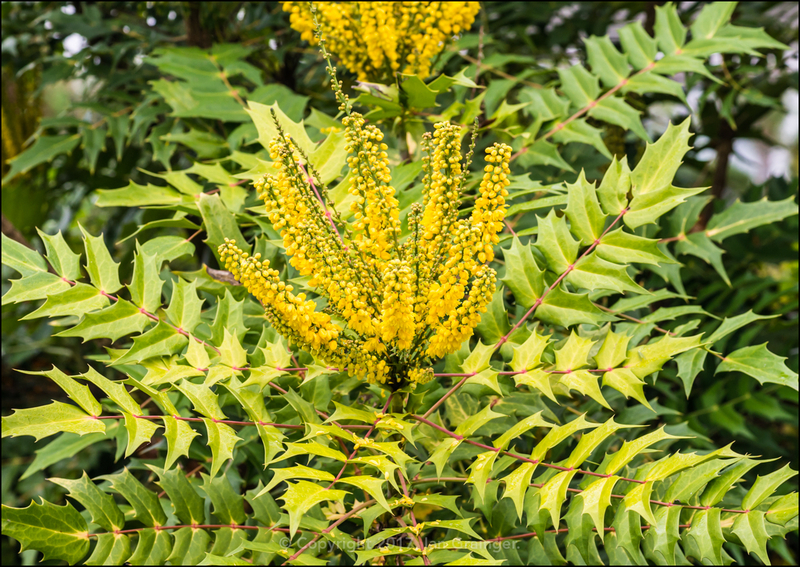 Meanwhile, the Mahonia japonica was going strong, with quite a few flower buds already opened. This is how the whole shrub was looking, almost welcoming you into its clutches, with its wide open branches of distinctive looking pointy leaves. ...and these equally pretty lighter pink ones. 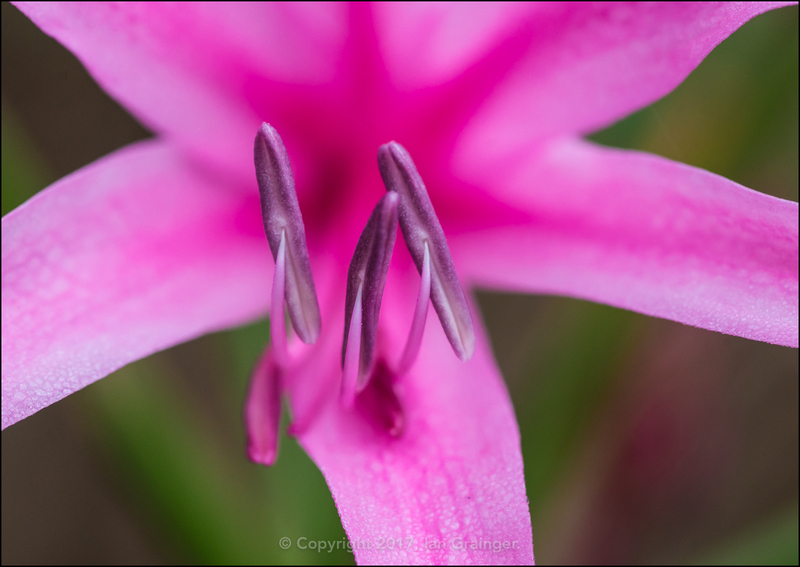 The Guernsey Lilies (Nerine bowdenii) were still hanging on, and I enjoyed photographing them in extreme close-up. 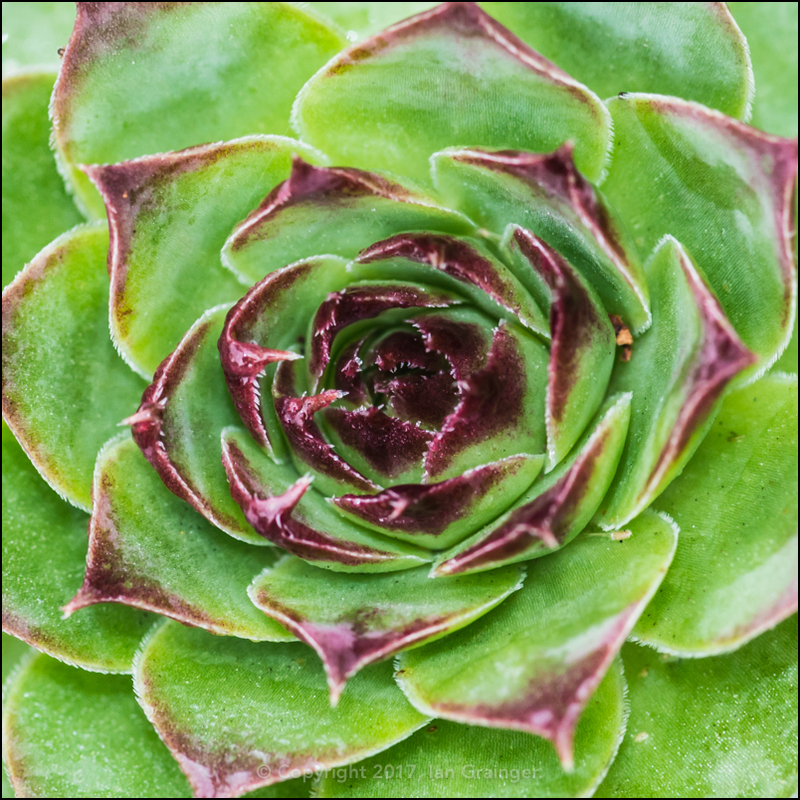 It doesn't seem to matter how many times you photograph something, when zooming in on the detail you nearly always notice something new. 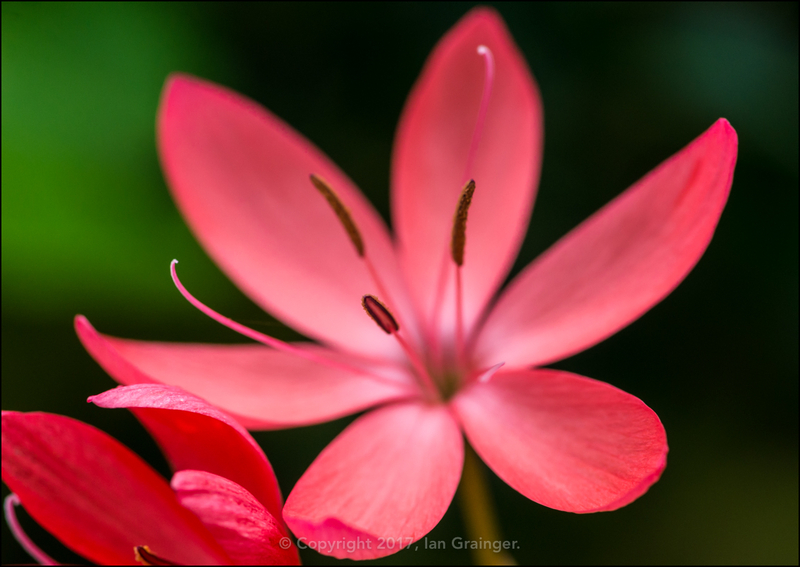 For me, this time it was how the tentacle like filaments of the stamen curved around gracefully to delicately connect with the anthers. 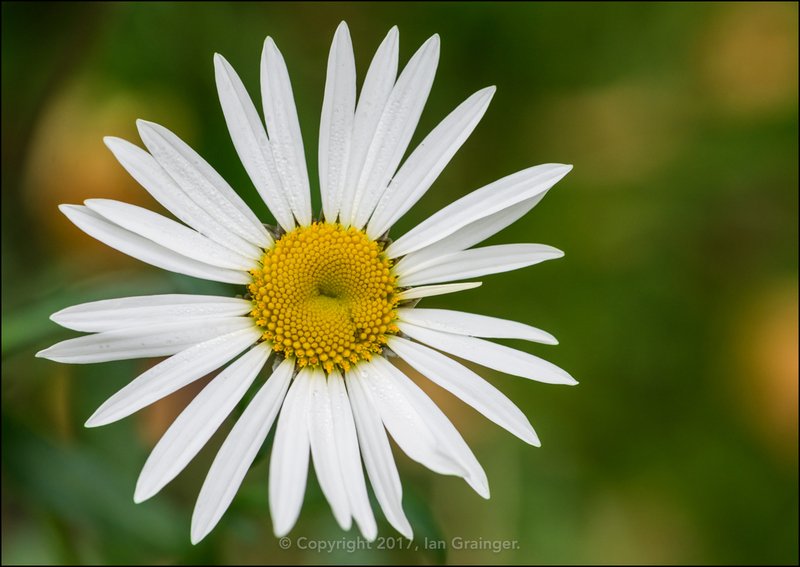 I've been forecasting the demise of the Oxeye Daisies (Leucanthemum vulgare) for weeks now, yet they keep on coming. They really are a fabulous floral workhorse. 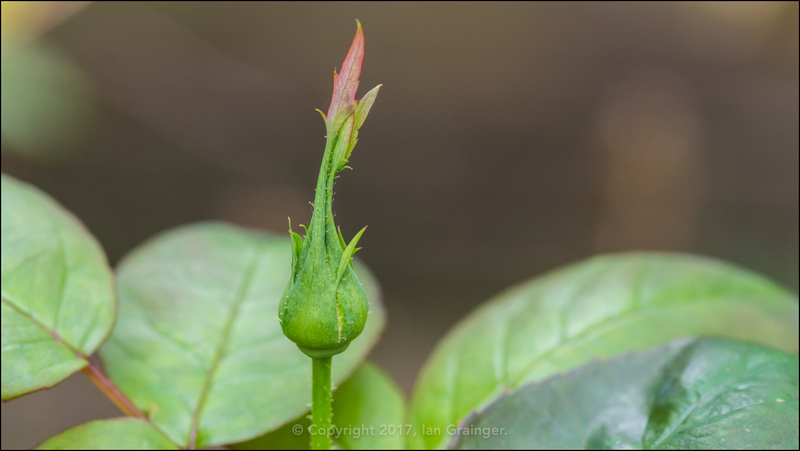 I'm not sure if there'll be time for this budding Rose (Rosa) to open before the frosts arrive, but it would be nice to think that there will be. 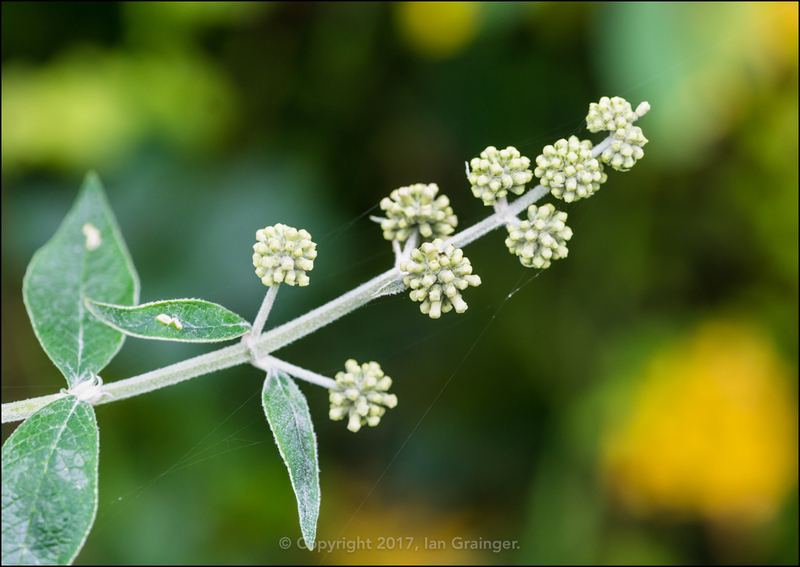 I'm sure that these Butterfly Bush (Buddleia) buds will open during the week, and maybe I'll get to feature them in next week's article? 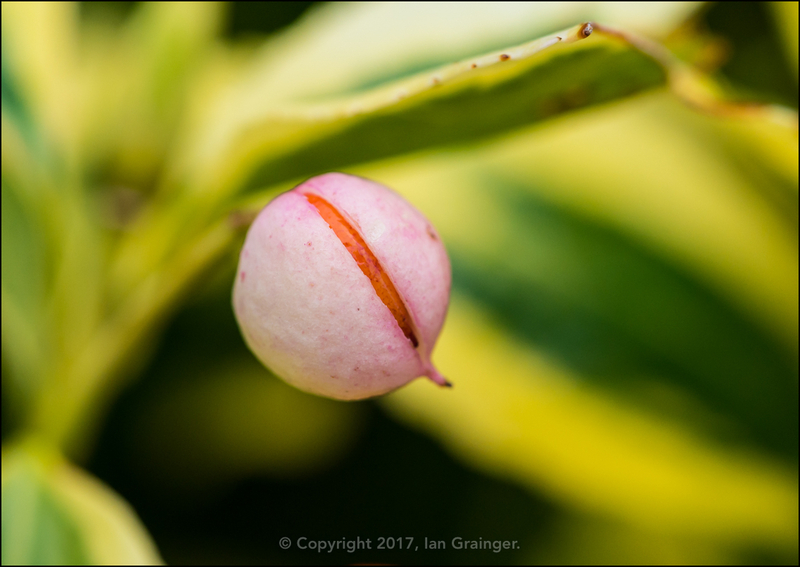 The deadly poisonous Spindle Bush (Euonymus europaeus) berries were continuing to brighten up a Privet hedge, and were looking fit to burst. 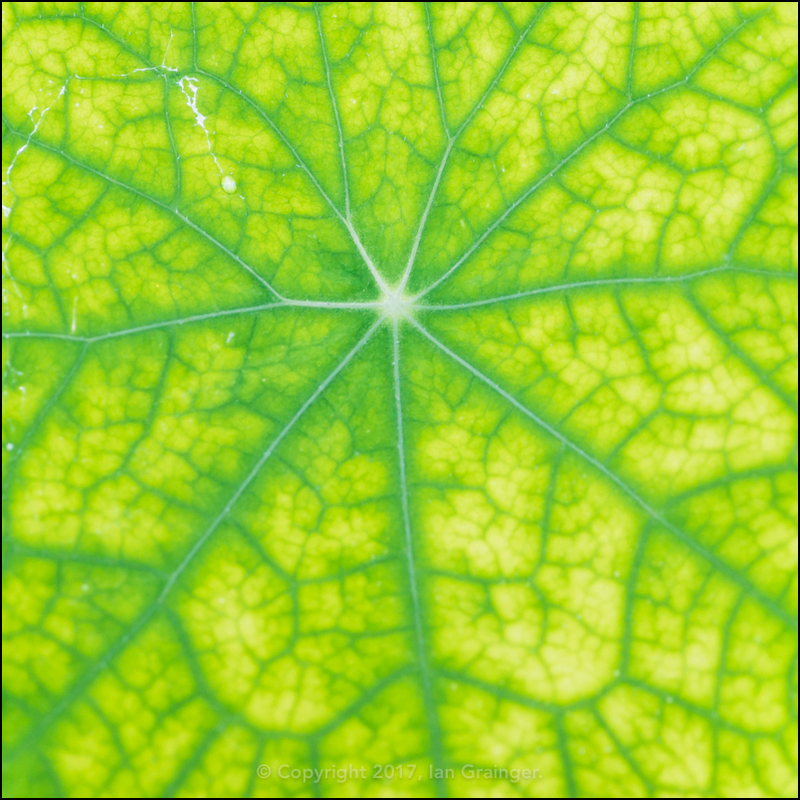 ...as was this decaying Nasturtium (Tropaeolum) leaf. 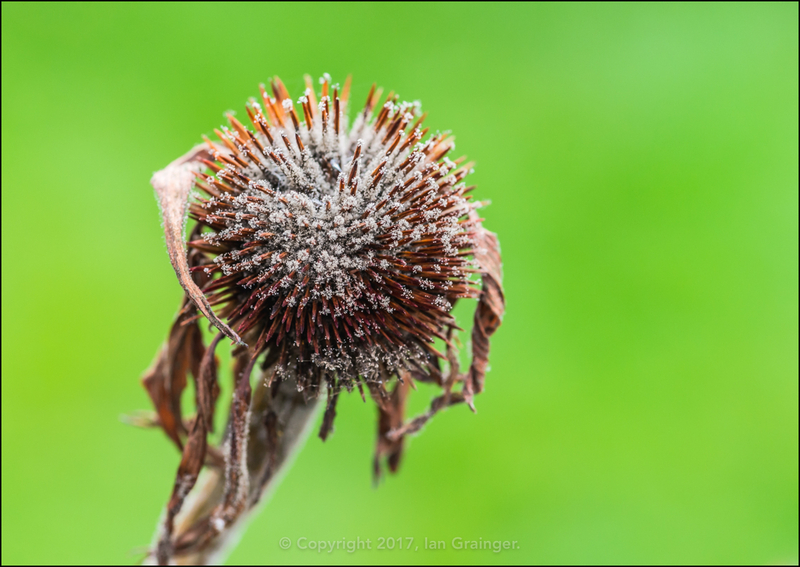 While not so much abstract, as documentary, the Coneflowers (Echinacea) are now all but gone, and all that remains of them are these spiky seed heads. Hopefully they'll return again next year. Finally, more imagery of my wet pets. 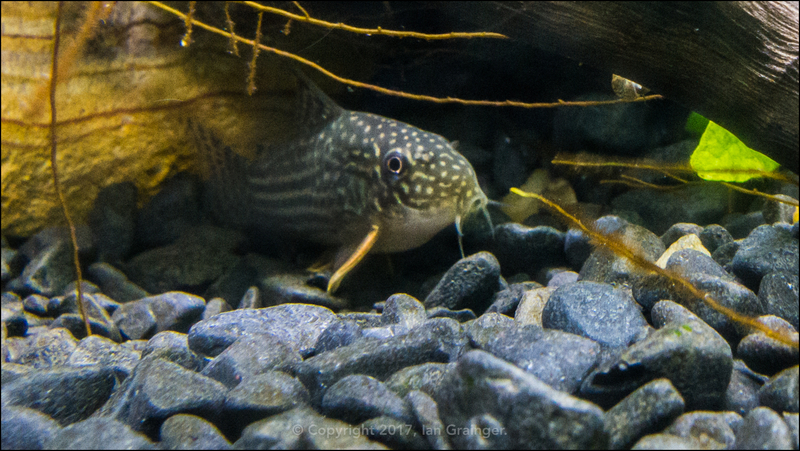 This is one of my new Corydoras sterbai seen here chilling out amongst the roots of a Java Fern (Microsorum pteropus) plant.